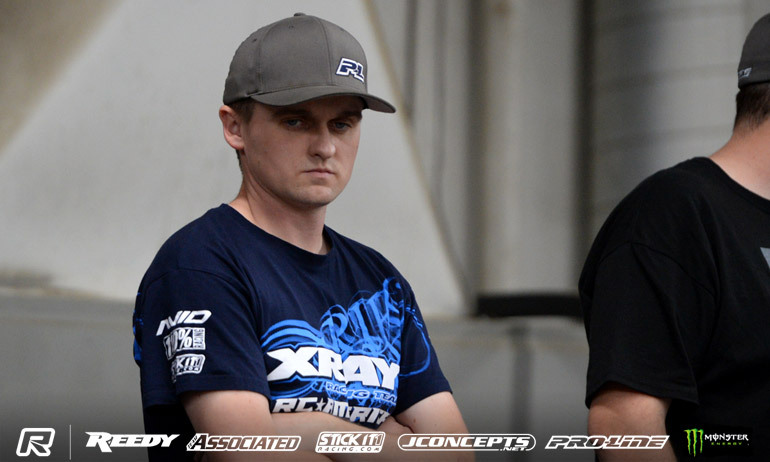 Jared Tebo made the perfect start to 2WD at the Reedy Race of Champions being the only one of the four joint leaders after 4WD to register a win. 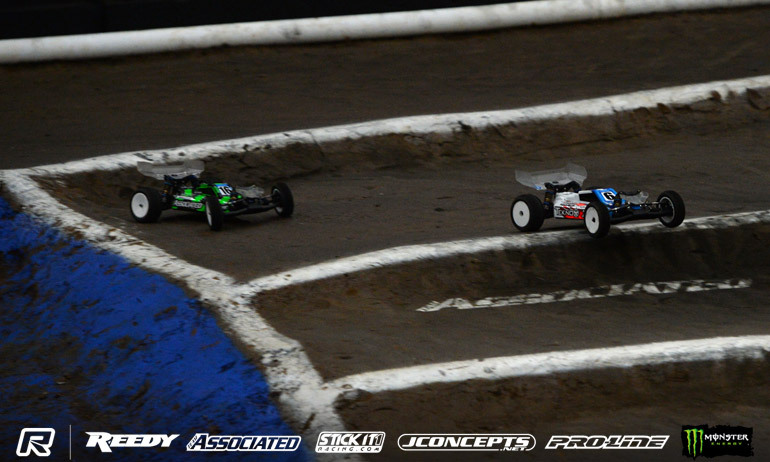 Running in the final race of the opening round, the Tekno driver took a hard fought win over Joona Haatanen, the Finn led the race for 7-laps before a mistake, but came back at Tebo in the dying stages of the race. 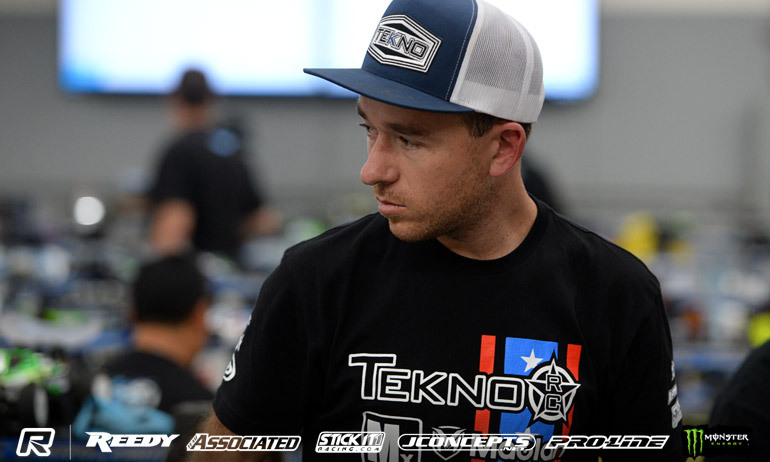 Of the other points leaders, Ty Tessmann would get a second from his race after running out of time to mount a challenge on winner Christopher Sturdy while Spencer Rivkin and Dustin Evans ran in the same race as Tebo and only came away with 5th and 8th respectively. The 3rd winner of the round would be Ryan Maifield, the former champion taking the win ahead of Dakotah Phend and Brent Thielke. Reacting to his win, Tebo said, ‘that was a great race. I got a good start and then me and Joona had an awesome race’. He continued, ‘we were close on pace and it was super intense out there. I’m glad to get the win. I needed it’. On his car, the Tekno driver running an Associated in 2WD, said, ‘the car was awesome but the diff kind of blew out so I need to take it apart and check it’. Commenting on his race, Tessmann said, ‘It was going good but I had bad luck at the triple. I got going again and made my way up to 2nd and tried to catch Chris (Study) but I ran out of time about’. Getting to within 4/10ths of the Australian, the Xray driver concluded, ‘My car was good’. ‘That was a trouble race’, was how defending Champion Evans summed up opening 2WD encounter. 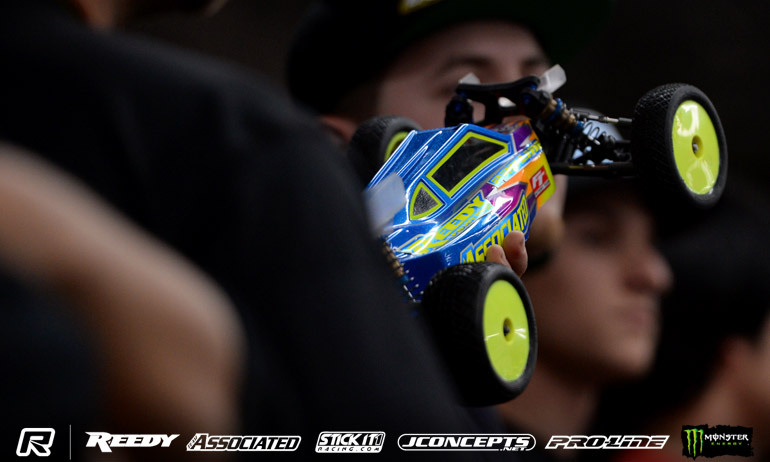 The Associated driver, who was looking forward to 2WD explained, ‘I didn’t have enough brake on my car so at the start I didn’t want to run into the back of anyone and tried to go around the outside but I clipped a wing and flipped over. Nothing went right and it was all out of my control’. 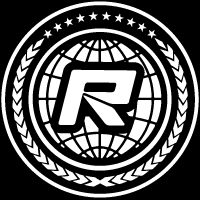 Team-mate Rivkin said, ‘it started off not that well with people crashing. I did the best I could and 5th place was all I had but I’m not worried about. Everyone is going to be carrying at least a 5th with this track’. Summing up his win, Maifield said, ‘we made some minor changes to the car after practice and it was the best the car has been. It jumped a little better but the front jump is still difficult’. 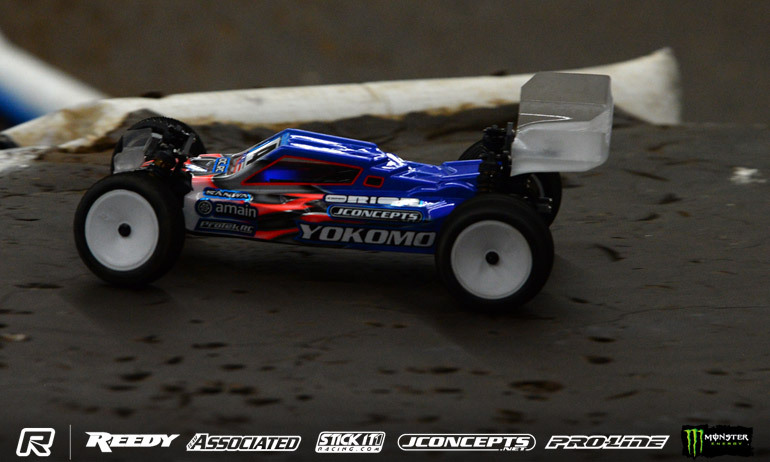 The Yokomo driver continued, ‘I battled with my team-mate (JP Richards) for a while until he hit trouble. Then I had a battle with Dakotah before he had a mistake. After that I drove my own race’. The World Champion added, ‘it going to be an interesting 2WD. Like 4WD its tough and the points are going to be really high. Everyone could at least end up with a fifth’.